Don't sit on the sidelines any longer. Kick-start your passion for playing the bass guitar with this comprehensive bass guitar pack. 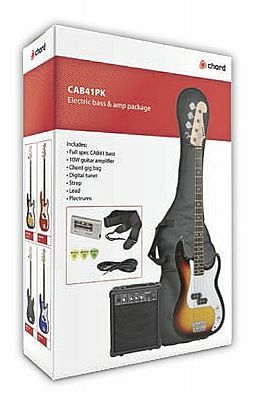 The pack contains the CAB41 Chord electric bass guitar, which delivers a warm, rich sound through a solid tone wood body and 10 Watt with a 3-band EQ, digital LED guitar/bass tuner, strap, lead, 3 plectrums and a gig bag. 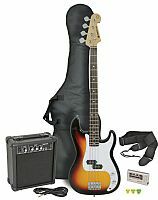 Ideal for beginners and students! Also Available: Black, Red & Blue. 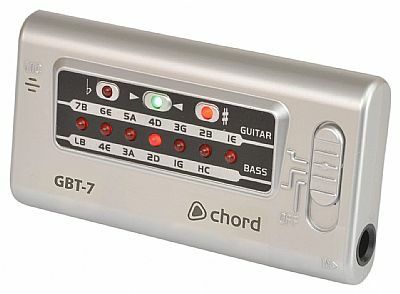 Tuner: Input 6.3mm jack or internal mic.